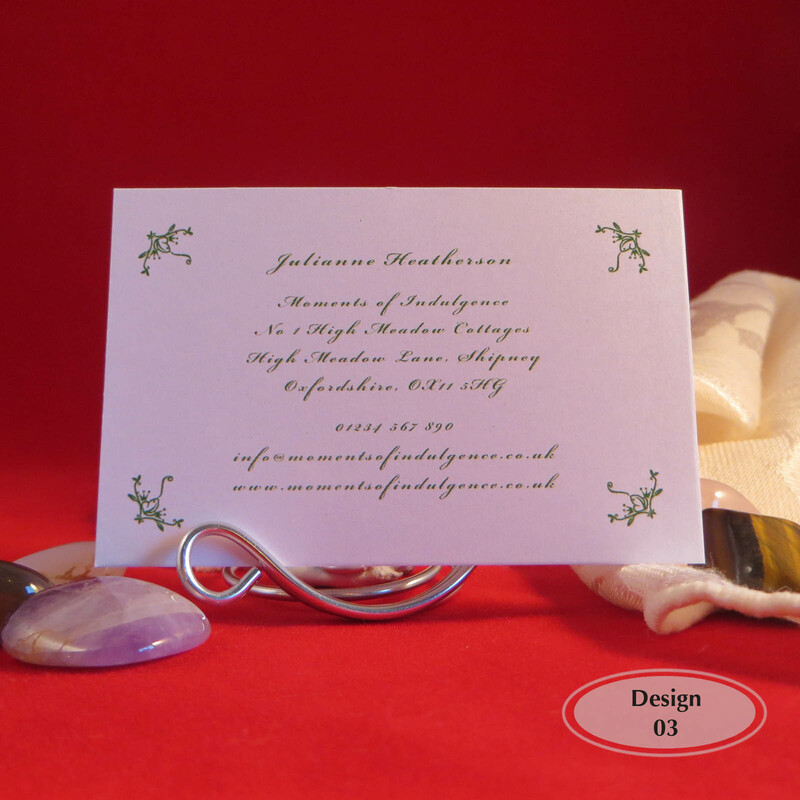 Personalised Colour Print Business Card for crafters. 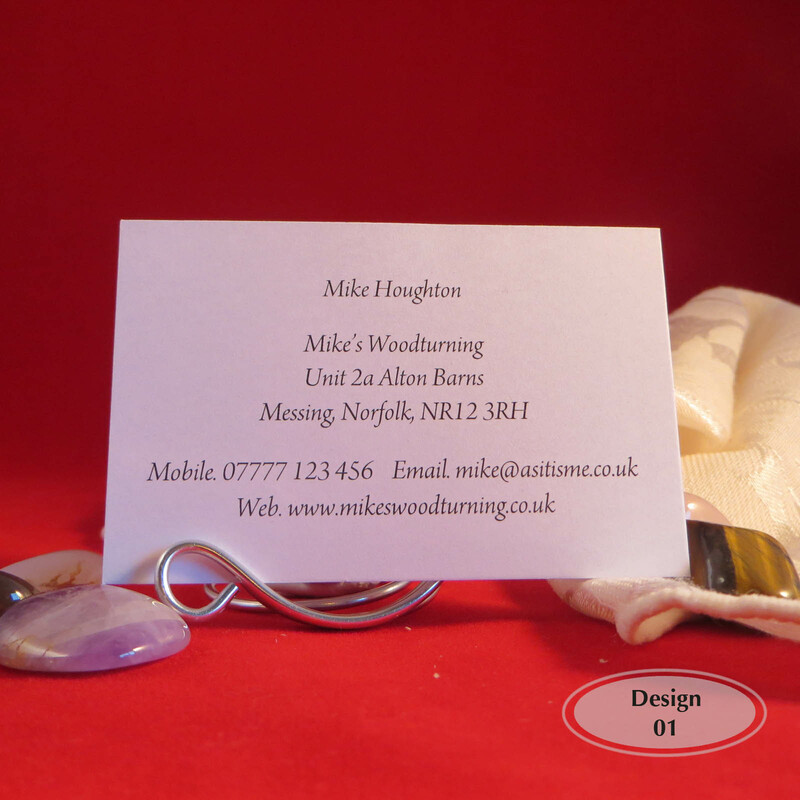 Standard business card size 85mm x 55mm, available as a single sided card. Choose a design or send us your logo and we will create one. Just click the link below to receive a free draft copy before you order. 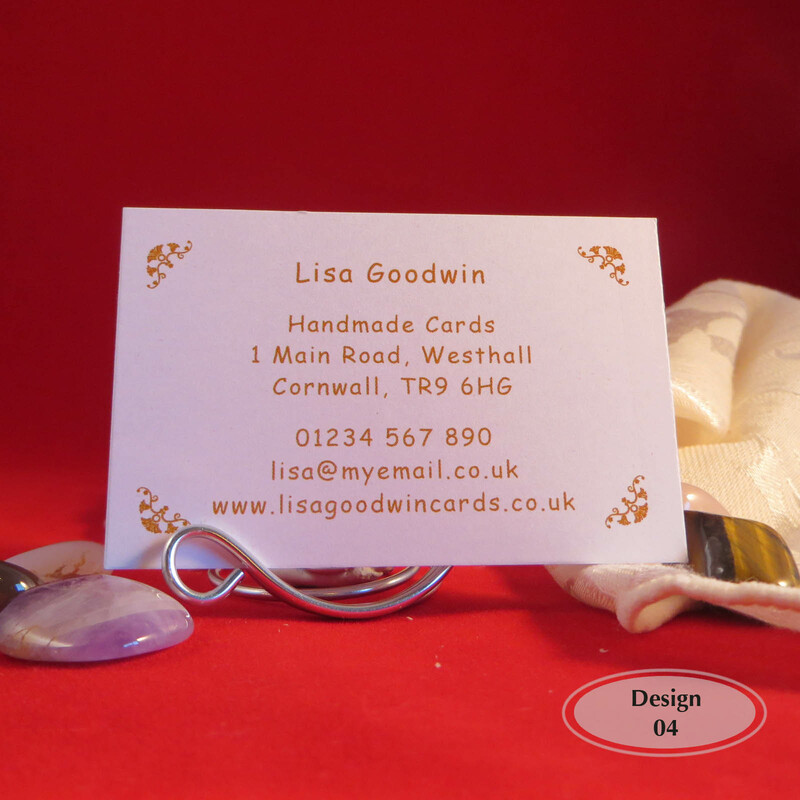 Personalised Colour Print Business Cards for Crafters. 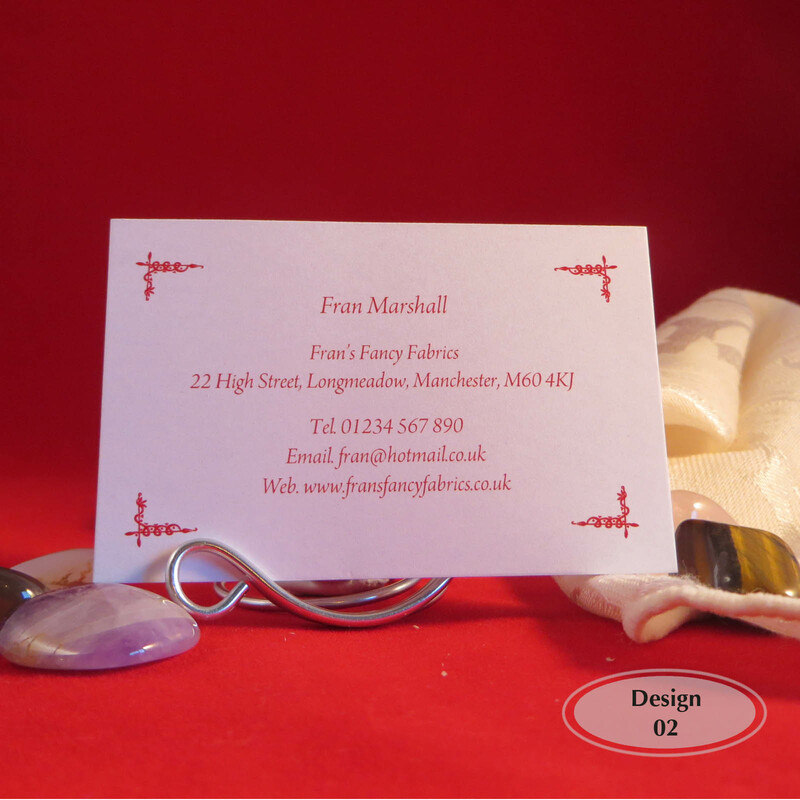 Standard business card size 85mm x 55mm, printed on white or ivory card. Choose a design or send us your own logo and we will create one, just click the link below to receive a free draft copy before you order. Fully personalised with your details and finished with square corners. Delivery included in the price with options to upgrade if you require them in a hurry. 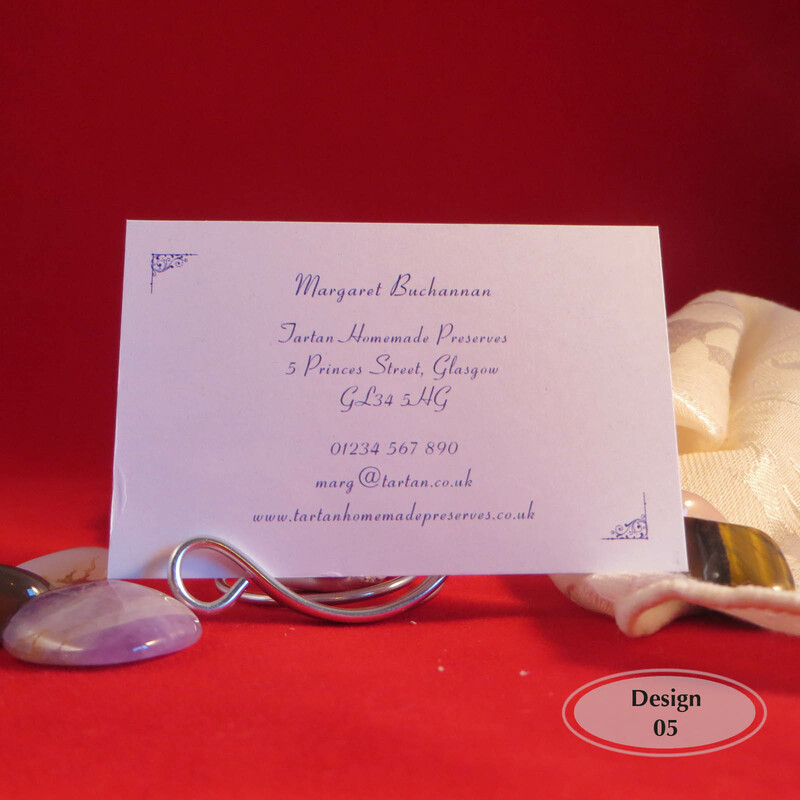 You will need the design number found in the card picture. We strive towards an excellent service for all our clients and aim to accommodate wherever possible your requirements. 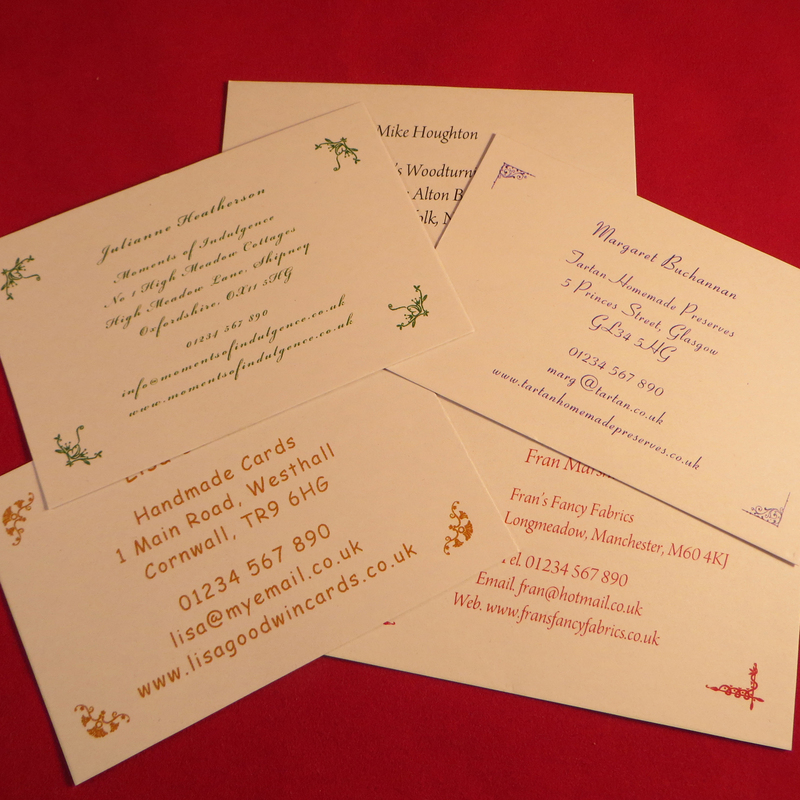 If you need your personalised coloured business cards immediately then please contact us before you order. These are low resolution photographs and the colours may look slightly different on your computer according to your screen settings. Should you have any queries please do not hesitate to contact us quoting BUS_2.